Early archaeological evidence of the Mayan dynasty dates back to 750 BC. Their incredible culture is well known for its accomplishments in art, architecture, astronomical mapping, calendar planning, mathematical skills, and an incredibly intricate hieroglyphic system - pre-dating any other writing system in the pre-Columbian Americas. Perplexingly, many Mayan populations began to disappear between the late eighth and end of the ninth centuries. For reasons unknown, although widely speculated upon, cities were abandoned one-by-one until the civilization had all but collapsed. Excavated remains of their incredible existence span across southeastern Mexico, the entirety of Guatemala and Belize, parts of Honduras and El Salvador, and are some of the most frequented tourist spots on the globe. In Mexico, Chichen Itza [tchee-tchen eet-sa], Palenque [pah-leng-ke], and Uxmal [oos-mahl] are among the most impressive ruins to be seen. Chichen Itza, one of the largest Mayan cities on record, is located in the Tinum Municipality of the Yucatan State, and it presents excellent day-trip opportunities from Cancun, Merida, Tulum, or Valladolid - being approximately equidistant from each. 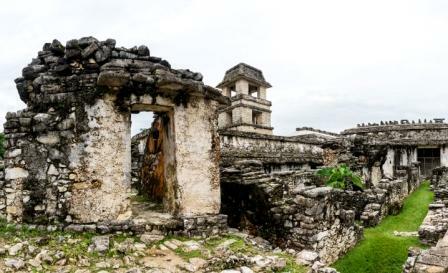 Here, visitors can marvel at five impeccably preserved buildings, including El Castillo, one of the most famously photographed structures of Mayan civilization. Palenque, best known for containing some of the finest examples of sculpture and carving, is located in the southern state of Chiapas - best accessible from Palenque city. Uxmal is considered to be one of the best representations of the region’s dominant architectural style. These ruins are located about 50 miles southwest of the city of Merida. Guatemala’s most famous ruin, Tikal [tee-kahl], is located in the UNESCO World Heritage Site of Tikal National Park. Tikal’s sprawling urban site contains some of the most impressive Mayan palace, temple, and altar structures - many housing the ancient tombs of kings and important political figures of the time, as well as elaborately carved wooden door lintels and stelae (carved stone shafts). Belize boasts some beautiful and important structures from Mayan history. 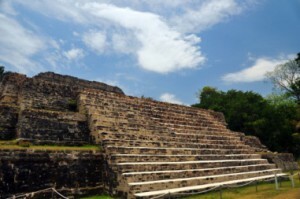 Altun Ha [al-tuhn-ah] and the Caracol [kar-uh-kol] Archaeological Site are among the most popular in the country. Altun Ha was one of the largest Mayan trading hubs and is the country’s most excavated ruin with more than 250 buildings for visitors to view. From Belize City, the site is a quick day trip, sitting about 34 miles to the north. The Caracol Archaeological Site sits inside the Chiquibul Forest Reserve. It is the largest and most remote ruin in the area. A drive through the reserve is necessary to reach the ruins and requires either a guide or a four-wheel drive vehicle. The area is most easily accessed through San Ignacio, Belmopan, and Belize City. This giant city is believed to have toppled Tikal, with archaeologists currently having identified about 5000 of an estimated 36,000 structures. Honduras’ most enduring Mayan site is called Copan [kaw-pahn]. It is located in the western part of the country, close to the border of Guatemala, and abutting the Copan River. Direct buses run from the town of San Pedro Sula. Visitors to Copan can see some of the best preserved Mayan hieroglyphic writings, both on standing structures as well as in the on-property museum. In El Salvador, Tazumal [tah-su-mahl] is the most highly-rated ruin to see. Situated in the municipality of Chalchuapa, in the department of Santa Ana, some of the earliest (circa the 8th century) metal artifacts reported from Mesoamerica were made within this complex. Tazumal can be easily accessed from the city of Kaminaljuyu. 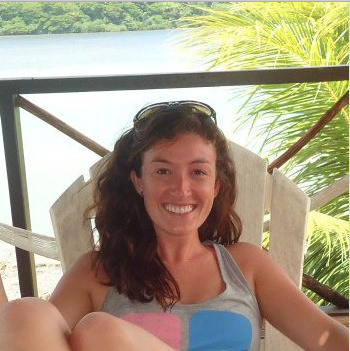 After completing a dual degree in English and Anthropology at the University of Georgia in 2007, Shannon Donnelly embarked on an adventure abroad, never to return. Years of random rambling have taken her throughout South and Central America, Europe, Australasia, and—most recently—down to Belize, where she has settled herself on the Caribbean island of Ambergris Caye. There, she happily spends her days writing and relaxing with a cold beer in her hand and a smile on her face.